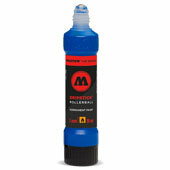 Montana Level 6 Pink Dot - Ultra Wide Fat Cap The Level 6 Cap Pink is a ultra wide fat cap, for a ultra wide average spray width from 6 - 29cm. The spray width changes with the used distance to the object. For skinnier lines, spray from a closer distance. For fatter lines, spray from a further distance. This cap is one of two sold under this name. We tested both this and the clear dot version and find this one to be slightly more wide with a more hollow spray. 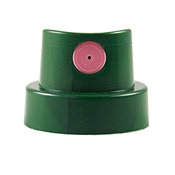 The Level 6 Cap Pink is a ultra wide fat cap, for a ultra wide average spray width from 6 - 29cm. The spray width changes with the used distance to the object. For skinnier lines, spray from a closer distance. For fatter lines, spray from a further distance. This cap is one of two sold under this name. We tested both this and the clear dot version and find this one to be slightly more wide with a more hollow spray. This product was added to our catalog on Tuesday February 12, 2019.